Mersea Island is located about 10 miles south east of Colchester on the River Blackwater. 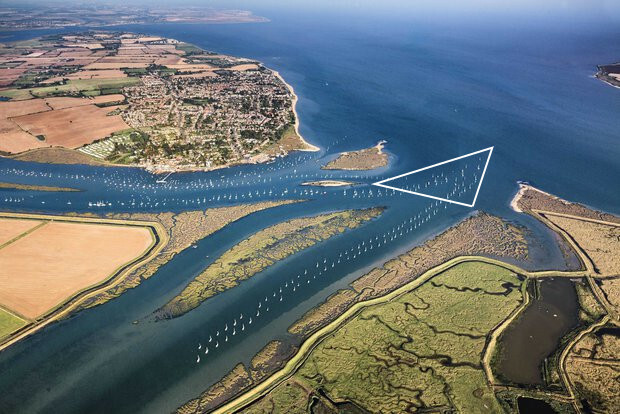 The island has an excellent reputation for dinghy sailing (Dabchicks Sailing Club) including a strong cadet faction and yachting both cruising and racing (West Mersea Yacht Club). There is also a small fishing fleet. The waterfront has a strong community of oystermen, fishermen, boatyards and small businesses. Mersea Island itself is made up of East and West Mersea. East Mersea is primarily farmland but also has several caravan parks and a country park. It has become famous for its brewery and vineyard. Mersea has a population of about 8000, the majority of whom live in West Mersea where there are opportunities to shop for food and drink, everyday items and local arts and crafts. There are a handful of popular cafes both in the village and along the waterfront. All mooring tackle is put in and serviced at the licensees expense. We can recommend the services of Stewart at Predator Charters Tel: 07958 664602 to put in the tackle required for your vessel and subsequent servicing.